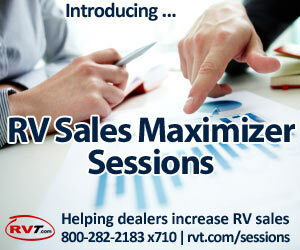 Savvy RV dealers are always on the look-out for units that buyers want. 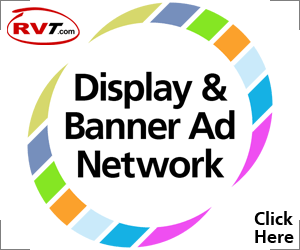 So, to help dealers know which brands buyers think are hot right now, we took sample of 1.9 million RVT.com visitors from Jan. 1 to May 31, 2015. Phaeton by Tiffin (Class A – Diesel). Top models include: 40QBH, 40QSH, 36GH. Allegro Bus by Tiffin (Class A – Diesel). Top models include: 40QDP, 43QGP, 42QRP. Dutch Star by Newmar (Class A – Diesel). Top models include: 4018, 4369, 4023. Dynasty by Monaco (Class A – Diesel). Top models include: 42 Emperor IV, 38PBS, Diamond IV. Cougar by Keystone (Travel Trailer). 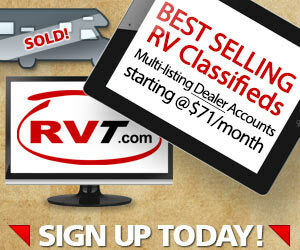 Top models include: 327RES, 310SRX, 337FLS. Bounder by Fleetwood (Class A – Gas or Diesel). Top models include: 35E, 35K, 36S. Mountain Aire by Newmar. Top models include: 4301, 4121, 4528. Lance by Lance (Truck Camper). Top models include: 1181, 825, 1172. Discovery by Fleetwood (Class A – Diesel). Top models include: 40G, 40X, 39S. View by Winnebago (Class C) – Top models include: 24J, 24G, 23H. If you’d like any more info about this, please feel free to give us a quick call at 1-800-282-2183 x 710 or leave a comment below.